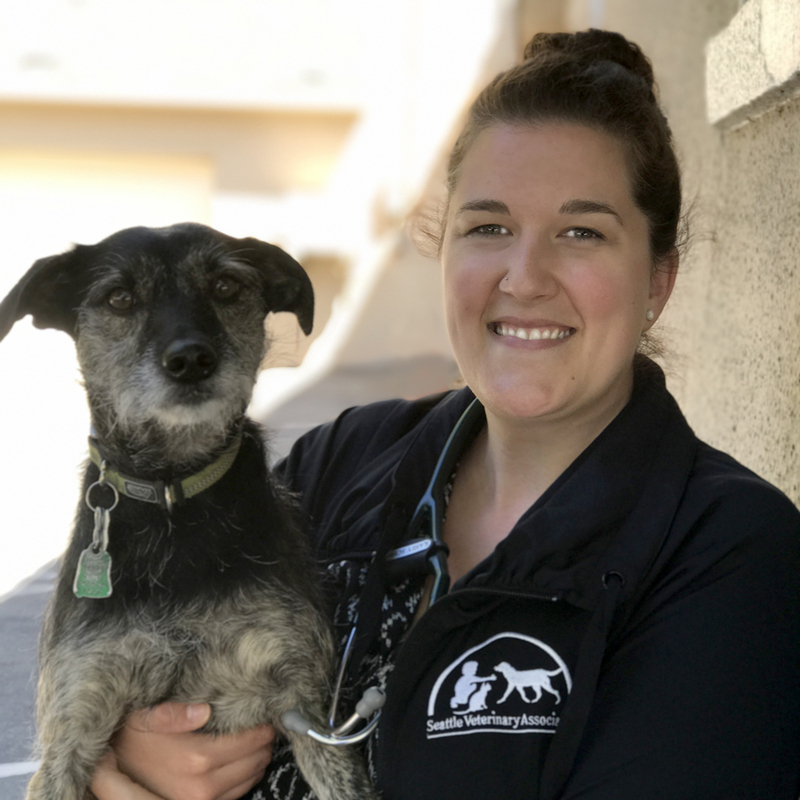 Dr. Kasey Schmidt graduated from Washington State University in 2016 after which she completed an internship in small animal medicine and surgery at VCA Veterinary Specialty Center in Lynnwood, Washington. She received her B.S. in Biology with emphasis in Physiology from University of Washington. 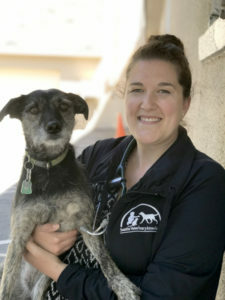 Prior to veterinary school, she worked as an assistant at Green Lake Animal Hospital and she is excited to rejoin the family! Her interests include internal medicine, rehabilitation and in particular, working and sporting dog medicine. When away from the office she enjoys spending time with her numerous nephews and nieces, training her terrier Gryffin, and receiving the condescension of her two cats, Thomas and Simon. Her other interests include hiking, cooking for friends, exploring the city and knitting very poorly.